A single plate of steel with a green powder coat finish. Made in the USA. 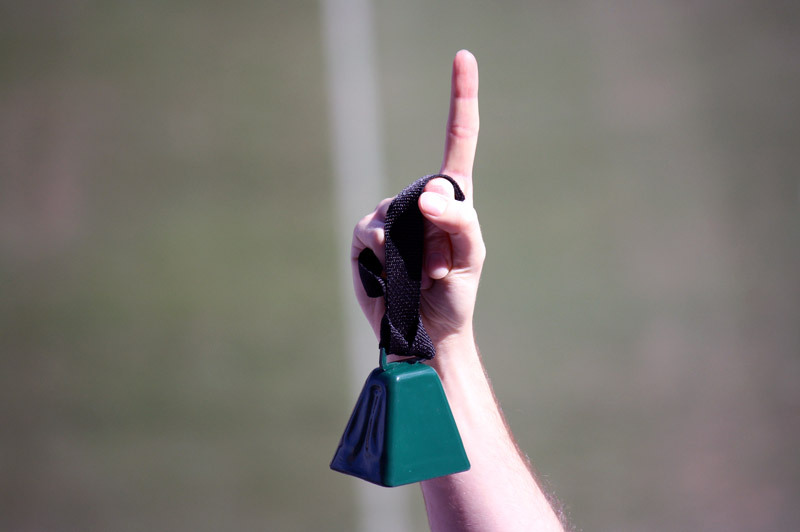 Support your team with this football cowbell at all sporting events! 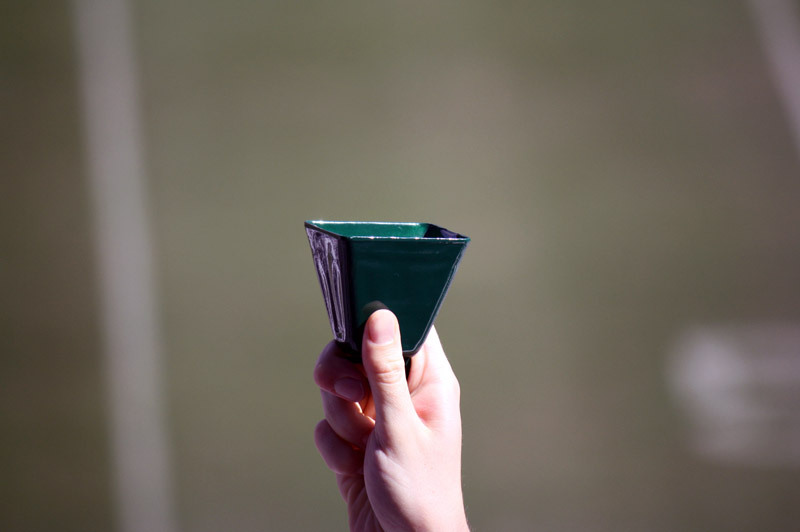 Bring it home for decoration and out on the town for noisy fun. 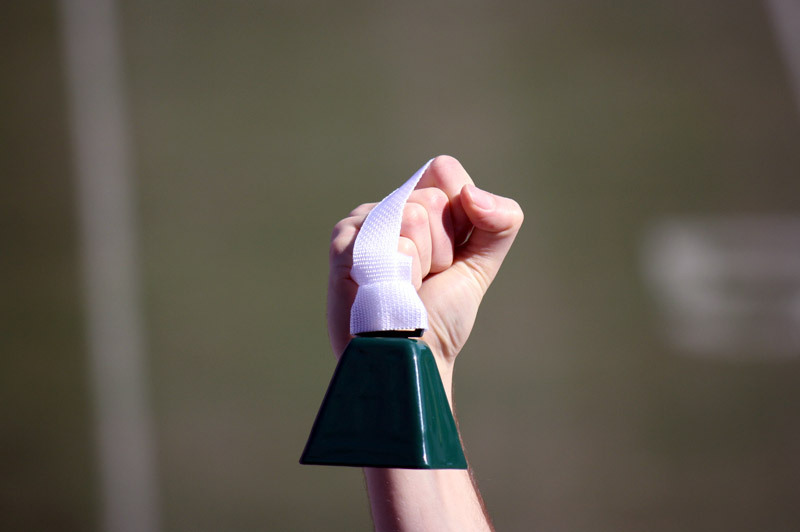 Green cowbell comes with an optional black or white strap.